Can Apple's new iPhone X for 2018 beat Samsung's Note 9? Samsung has beaten Apple, officially, with the Galaxy S9 and Galaxy S9 Plus outselling the iPhone X and iPhone 8 Plus in April 2018. 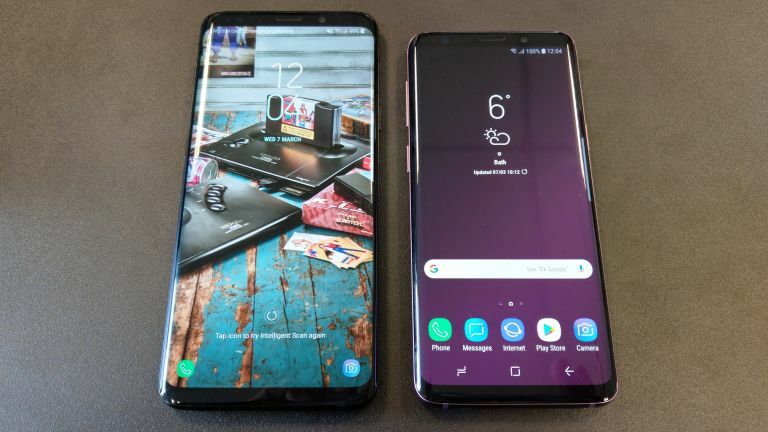 New sales figures have confirmed that Samsung beat Apple is smartphone sales in April 2018 with the Samsung Galaxy S9 Plus and Samsung Galaxy S9 out-selling the iPhone X, iPhone 8 and iPhone 8 Plus. The figures come from Counterpoint's Market Pulse April Edition which shows the Samsung Galaxy S9 Plus as the top selling with 2.6 percent of the global smartphone model sales market for April 2018. The Samsung Galaxy S9 actually comes in second place, also listed at 2.6 percent. Apple rolls in with third place at 2.3 percent for the iPhone X but also takes fourth place for the iPhone 8 Plus at 2.3 percent and fifth place for the iPhone 8 with 2.2 percent. While this shows Samsung's popularity right now, that could change soon as Apple is set to release up to four new iPhones in September. That said, Samsung is also due to unveil its Galaxy Note 9 this year with the Galaxy S10 and Galaxy X foldable phones to follow early in 2019. So while Samsung and Android are currently topping this particular chart, the future is still very much looking bright for Apple's iPhone and iOS.